Welcome back to school! I hope the first day of school was a good one for your children and family. As most students were settling into their freshly decorated classrooms yesterday, getting to know their fellow classmates and new teacher, students in almost 40 SFUSD classrooms were greeted by a temporary instructor. Unfortunately, the school district is scrambling to find long-term substitutes or permanent replacements for these students. But until that happens, these students will be in a state of limbo — not knowing what adult will be leading their class day to day. The teacher shortage is nothing new, in fact, as the Chronicle reported yesterday, there are half as many people in teacher credentialing programs now versus in 2008. Our teacher supply is at a 12-year low. And the actions of the Board of Education in May did not help matters. Our school board decided to take another look at where we get our teachers and became focused on the district’s contract with Teach for America (TFA), which they decided not to renew for the 2016-2017 school year. TFA has been providing young, enthusiastic (and inexperienced) teachers predominantly to schools that serve underserved communities — and would have provided about 15 teachers this year. The Board of Education chose not to renew this contract — without having a full compliment of full-time teachers confirmed to be ready for the first day of school. This was a short sighted decision by the Board of Education that has negatively impacted hundreds of students. The SF Parent PAC believes that our district leadership should have done everything in their power to make sure San Francisco’s public schools had permanent teachers in every classroom on the first day of school to greet our students and guide them through the rest of the year. If the Board of Education was not confident this could be accomplished, extending the TFA contract would have helped alleviate this problem. We will be watching to see how this situation is handled by the district’s leadership, hoping that the resilience of our children carries them through the instability they may experience for a time until the right people are in front of their classrooms. I wish you and your children a rich and engaging school year. You’ll hear from us again soon! The SF Parent PAC felt it important to weigh in on two ballot items for June: Prop B (the measure ensuring funds for San Francisco’s parks and recreation programs) and the State Senate race. There is information about our position on Prop B in the last post, and below you will see why we support Supervisor Wiener as the next State Senator for San Francisco. 1. Education – Scott has been a great ally in SF for the public schools, actively supporting them the entire time he has served on the BOS. For example, he has supported increased city funding toward SFUSD and supported parents when 8th grade algebra was eliminated (even when Superintendent Carranza suggested he stay out of it). * Increase state funding for schools, and understands the need to protect Prop 98 and not treat it as a floor. * Expand after-school programs (added support for kids is necessary, and supports working parents). * Universal preschool and increased child care options. * Support for more paraprofessional positions in schools, as well as all the critical support roles like nurses, counselors, etc. * Supports a school assignment system that allows people to attend neighborhood schools. * Support for bilingual and immersion programs, English-learning programs, and support for communities to maintain cultural traditions. 2. Children’s (and adult!) Health – Scott authored a resolution putting SF on record in support of SB277, which requires vaccinations for kids to go to public school. Scott also sponsored the soda tax in 2014, which would have dedicated nearly $20 million annually to school lunch, p.e. and parks programs. He also secured funding for water bottle filling stations at schools. 3. Public Space – Scott has long supported our parks through helping pass the 2012 parks bond, helping make the Noe Valley Town Square a reality, and establishing uniform closing hours for the parks to reduce vandalism. 4. Housing – Scott has authored many smart policies to address the affordability issues here in SF, and understands the law of supply and demand. He believes in three approaches to address our housing needs: 1) Encouraging smart approaches to housing creation, 2) Building more affordable housing more quickly, and 3) Ensuring housing stability for existing residents. Some of the things he’s done: make it easier to build BMR housing by exempting them from conditional use authorizations, incentivize more affordable housing by not making it count against unit density rates (when 20% of project is affordable), allowing new in-law units, enforce short-term rental oversight hearings, more housing along transit corridors, more student housing, helping displace tenants, allow more flexibility in kinds of housing we build (small and big), increasing supply of moderate income housing, and more! Obviously, he has done much more than what is listed here, and has many more plans for Sacramento once he gets there. This is just a few quick points directly relating to kids and families. Finally, Scott has been an incredible supporter of parents and our right to contribute our voice and influence to all conversations and decisions related to families. He is as relentless and hard-working as anyone we have ever seen. He is very good at finding shared issues with colleagues to work on together, even when that issue might be the only thing they have in common. His door is always open; he will listen to anything you have to say and have a reasonable conversation about it. He is also never afraid to stand up for the things he believes in. It is because of all of these reasons that the Parent PAC believes Supervisor Scott Wiener will be effective in Sacramento, and a tremendous representative for San Francisco. By a unanimous vote Monday night, the San Francisco PTA joined the San Francisco Parent Political Action Committee in endorsing Prop B–the Rec and Park funding measure on the June ballot. The SFPTA expressly stated the support SF Rec and Parks provides for public school children via after school programs and summer camps. San Francisco Parent Political Action Committee Endorses June 2016’s Prop B: Increasing Funding for San Francisco Parks, Playgrounds, and Open Space. April 8, 2016 (San Francisco, CA) – The San Francisco Parent Political Action Committee (SF Parent PAC) is proud to announce its support of Proposition B, a charter amendment on the June 2016 ballot that provides new, sustainable funding for our parks, playgrounds and open space for the next 30 years. Prop B would provide new funds to the Recreation and Parks Department by gradually increasing the 2015-2016 established baseline allocation from San Francisco’s general fund, and continuing to increase the baseline over the next 10 years, without raising taxes. This will provide predictable and sustainable funding for the remaining 20 years of the fund’s duration. Additionally, for the first time ever, the measure would require that the Recreation and Parks Department’s Strategic, Capital Expenditure, and Operational Plans include an equity analysis based on metrics comparing existing Recreation and Park services and resources in underserved communities with services and resources in the City as a whole. The plans would have to include strategies to address the findings of the analysis. These annual plans, including the equity report, would be presented to the Recreation and Parks Commission and Board of Supervisors. The SF Parent PAC encourages transparency and accountability measures such as these and looks forward to learning about the findings each year. “As a father of three, I appreciate and applaud the Parent PAC’s tireless advocacy to make San Francisco a better place for all families and children. Proposition B will improve all parks in every neighborhood for all of San Francisco children and families – I am honored to have the Parent PAC’s support of Proposition B,” stated Supervisor Mark Farrell, sponsor of the measure. Posted in Endorsements, Uncategorized | Tagged open space, parks, playgrounds, Prop B, recreation and parks department, Supervisor Mark Farrell | Comments Off on San Francisco Parent Political Action Committee Endorses June 2016’s Prop B: Increasing Funding for San Francisco Parks, Playgrounds, and Open Space. 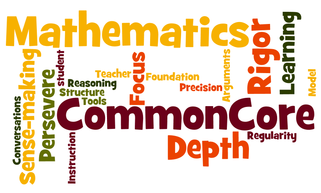 The San Francisco Parent Political Action Committee (The Parent PAC) has been following the Common Core Math Implementation debate very closely over the past couple of months – listening to parents’ concerns and speaking with SFUSD leadership. By June 2018, SFUSD will increase the number of Latino and African American students who take and pass Advanced Placement math courses by 20%. We believe these changes represent steps in the right direction and would like to specifically thank Commissioner Rachel Norton for advocating for smaller class sizes, math coaches, and accountability. We would also like to thank Commissioner Norton for embracing an open dialogue with Parent PAC leadership during this process. The Parent PAC would like to acknowledge all of the parents throughout San Francisco who have taken the time to share their opinions with SFUSD – parents like Lafayette Elementary’s Annette Hurst. Parent advocates got the attention of Supervisors Katy Tang and Scott Wiener who penned a joint letter to Superintendent Carranza asking him to continue to engage parents in discussions regarding the implementation of these new standards. You can read the letter from the Supervisors here. We appreciate the Supervisors’ support of parent advocacy. Finally, throughout this discussion, the Parent PAC has reminded the District that parents are educational partners and should always be treated respectfully. At times, it did not feel that the District lived up to this expectation. However, District leadership has assured us that they do view parents as partners and are willing to work with the Parent PAC and other parent groups to better engage parents going forward. The Parent PAC plans to offer some ideas on how parent engagement can be improved, in the near future.